Art, Like Bread: Welcome, Vogue Knitting Fans! 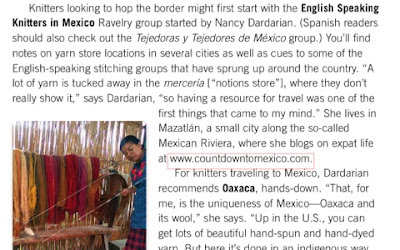 Way back in July, an editor at Vogue Knitting contacted me to inquire about the Stitch Group I run here in Mexico City. 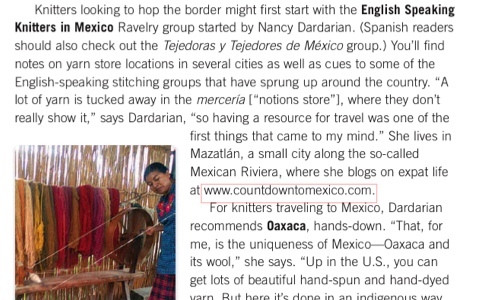 She wanted to learn about the fiber scene here in Mexico, and I was all too happy to oblige. It was definitely exciting to share the info and yarn connections I'd made over the past few years. Mexico is full of inspiration, and once I found my favorite yarn sources, I wanted everyone to know about them! Of course I hoped she might mention my name in the article (although just helping was exciting in and of itself), and I was elated to see my name and the website mentioned in the article. My friends are mentioned as well. I was even quoted! 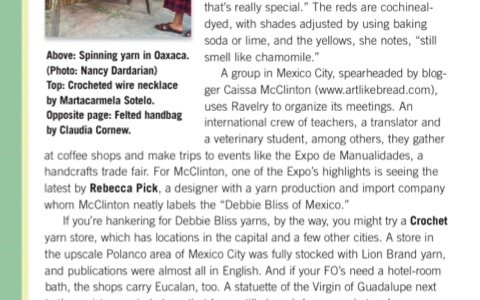 An online friend, Nancy Dardarian, who started the Ravelry Group that brought our Stitch Group together, was also quoted in the article, and Rebecca Klassen, who wrote the article, included her photo of naturally-dyed Oaxacan yarns. There is more to the article, like mentions of some of my favorite D.F. 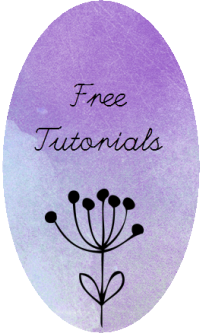 designers and craft events, but I want you all to read it yourselves! It also talks about all different regions of Mexico. I was really impressed with the reporting. Rebecca Klassen wove together a great story that presents an authentic and fair picture of the rich tradition of fiber craft and the modern incarnations of this favorite hobby. I'm very proud to be a part of the fiber scene in Mexico City. Knitters and yarn-lovers alike should definitely check this issue out. 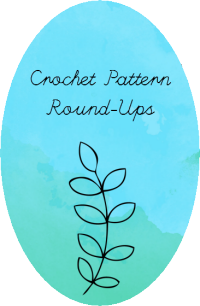 There are plenty of beautiful patterns, ideas, and yarn reviews. It's truly a wonderful publication. 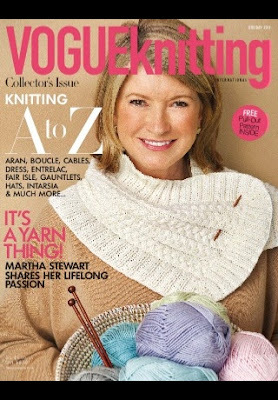 I bought a digital copy on the iPod, but you can also order a hard copy on the Vogue Knitting website.